Sodium Lauryl Sulfates or SLS or sulfates for short is a compound that is used as a surfactant or foaming agent. It is the presence of the sulfates that causes your shampoo to lather. The sulfates tend to dry out the hair in a bid to rinse off all the oil from the hair. Did you know that the same sulfates are used in your detergent and home cleaners? Would you want to subject your hair to such harmful chemicals in the shampoos that can be damaging? That is why, a lot of women are now moving towards natural and healthier alternatives in the form of shampoos that are sulfate free. You can read more about why you should switch to paraben and sulfate free shampoos here. They are gentle on the hair, cleanse the hair without stripping it of the natural oils and are less damaging to the hair. Most of the popular brands that are sulfate free, say so in bold letters while describing the product on the packaging. Otherwise, you can even check the ingredient list to know if the shampoo has sulfates. We make your work simpler by giving you our picks of the best sulfate free shampoos in India to keep your hair healthy and clean. 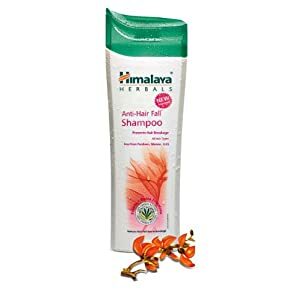 The Himalaya Anti-Hairfall Shampoo is a 2-in-1 formula that nourishes the roots and strengthens hair. The shampoo conditions the hair and improves the hair texture. Its key ingredients are the resin from flame of the forest plant which helps in revitalizing the hair and the juice of the eclipta plant which helps in hair growth. The shampoo is paraben and sulfate free. It is priced at Rs. 70 for 100 ml. 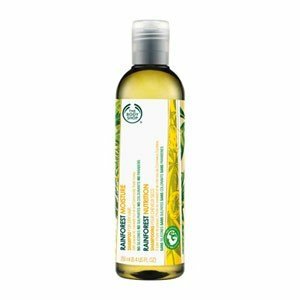 The Body Shop Rainforest Moisture Shampoo contains pracaxi oil, manketti nut oil, community trade honey and sugar. The shampoo is paraben and sulfate free. It gently cleanses the hair and restores the moisture and keeps the hair soft without weighing it down. The shampoo is best suited for dry and damaged hair. It is priced at Rs. 795 for 250 ml. The Giovanni Root 66 Max Volume Shampoo has horsetail extract, mango, kiwi, papaya, plumeria, aloe vera and soya protein extracts. The shampoo increases the volume of limp and lifeless hair. It strengthens thin and fragile hair without weighing it down. The shampoo cleanses the hair gently and removes pollutants from the hair. It is priced at Rs. 495 for 250 ml. The Soul Tree Licorice, Shikakai and Bhringraj Shampoo is a paraben and sulfate free shampoo. The shampoo is gentle and suitable for daily use. It has seven ayurvedic herbs which help in revitalizing your hair. The wheat protein in the shampoo is combined with licorice, henna and hibiscus to rebuild the strength of the hair. The bhringraj and shikakai in the shampoo help in darkening the hair. It is priced at Rs. 450 for 200 ml. 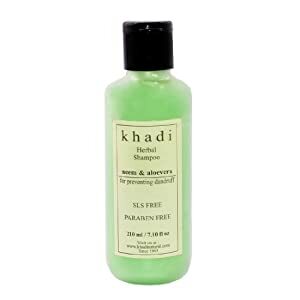 The Khadi Neem and Aloe Vera Shampoo is a natural shampoo that is paraben and SLS free and is excellent for gently cleansing the hair and scalp. The aloe vera in it conditions the hair while the neem fights scalp infections. It gets rid of irritation, itching and dandruff. The shampoo is mild and suitable for everyday use. It is priced at Rs. 210 for 210 ml.